A new major exhibition is opening at the Brooklyn Museum entitled Seductive Subversion: Women Pop Artists, 1958–1968 that chronicles a never-seen-before approach to the Pop art movement from the female artist’s perspective. 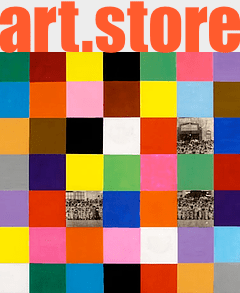 It features over fifty works by Pop art’s most prominent female artists that often worked alongside more famous male Pop artists of the day, and also includes many pieces that have not been shown in nearly forty years. The exhibition seeks to expand the definition of classic Pop art to include the talents of women. Michelangelo is known for his anatomically correct depictions of men and women in his frescoes, and he honed these skills by dissecting cadavers. At the time, the Vatican was ambivalent toward this practice and may have even disapproved of it. According to NPR, two neurosurgery researchers at Johns Hopkins University believe that Michelangelo camouflaged a human brain in a depiction of God in his Sistine Chapel fresco, The Separation of Light from Darkness. Rather than painting the brain in God’s head, however, what appears is the brainstem emerging from God’s neck. Experts say this was a kind of clever signature from the master artist, to pay homage to his love of human anatomy. Art instructors can now download actual lesson plans in a new initiative called Open Studio on the Getty Museum’s website. The creator of Open Studio is collage artist and winner of the MacArthur “genius” award, Mark Bradford. Along with Bradford, the Los Angeles based museum is partnering with the Getty Artists Program to present 10 lesson plans for elementary, junior, and high school art instructors. The purpose of Open Studio is to create introspective projects meant to inspire budding artists. Among the 5,000 most valuable works of art ever sold at auction, the late Louise Bourgeois claims nine. At the time of her death on May 31, the contemporary sculptor was considered to be the 16th most valuable living artist. The worth of her work continues to soar. Several galleries at Art Basel already showed exhibitions of Bourgeois’ work last week, including Xavier Hufkens and the Peter Blum Gallery. The artist’s most expensive work, the colossal sculpture Spider (2003), was sold at Christie’s in 2009 for almost $5 million. According to the Independent, Rome’s Villa Medici gallery on Sunday announced an exhibition that will show works by American abstract artist Ellsworth Kelly and French neo-classical painter Jean Auguste Dominique Ingres. At first glance, their works may look nothing alike, but upon further inspection their drawings reveal “the relationship to contours and form.” The gallery plans to make an annual summer event of exhibiting a modern artist together with a chosen contemporary from the past.